24,000,000 rifle and machine gun rounds were fired by the Soviets in the last month of the battle alone. 1942 was a tumultuous year for all the parties involved in the fierce fighting that was World War II. The Germans had invaded most of mainland Europe and Northern Africa by this point of the war. 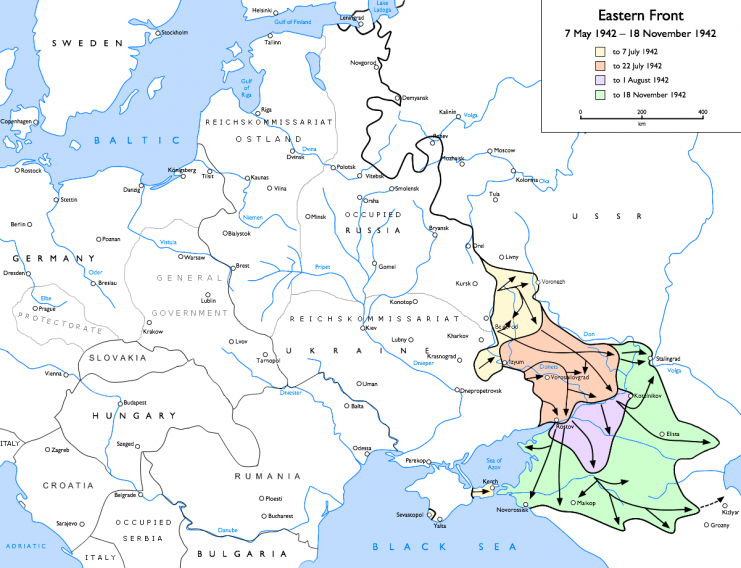 A massive invasion of the Soviet Union was launched in June of 1941 and was mostly blunted after major gains outside of key cities due to fierce Soviet resistance coupled with harsh weather conditions. The Germans needed key victories to take place if they had any hope of taking over all of the USSR. Several areas were looked at for an offensive, and eventually Operation Blau was created. Originally, Stalingrad was not a key objective in the campaign. It was going to be surrounded and besieged, like Leningrad. However, Hitler eventually decided that the city would be taken. For one, it would anger Stalin, as the city was in his name. The larger reason for the takeover is that it was a major tank building hub and denying it to the Soviets would definitely hurt. Operation Blau was launched on 8 May. “A week later it was over, and 170,000 Russians had been taken prisoner; only Sevastopol, which would not fall until 2 July, still held out in the Crimea.” This opened the path towards Kharkov, but a problem had occurred. 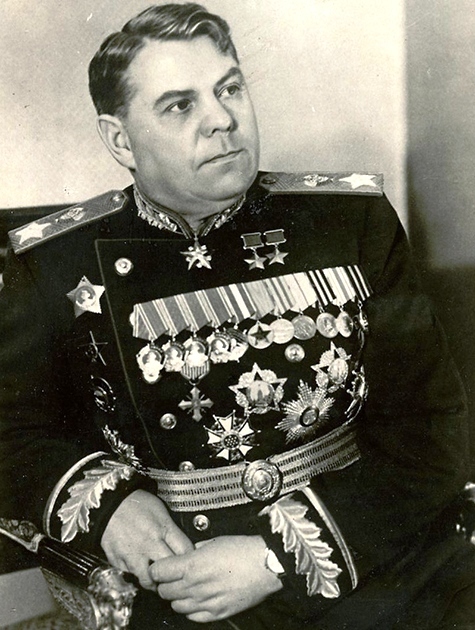 The Soviets counter-attacked towards Kharkov, and the German Field Marshal, Fedor von Bock, worried that Operation Blau would have to be aborted. Hitler doubted this and told him to advance the attack by one day. This proved to be successful. 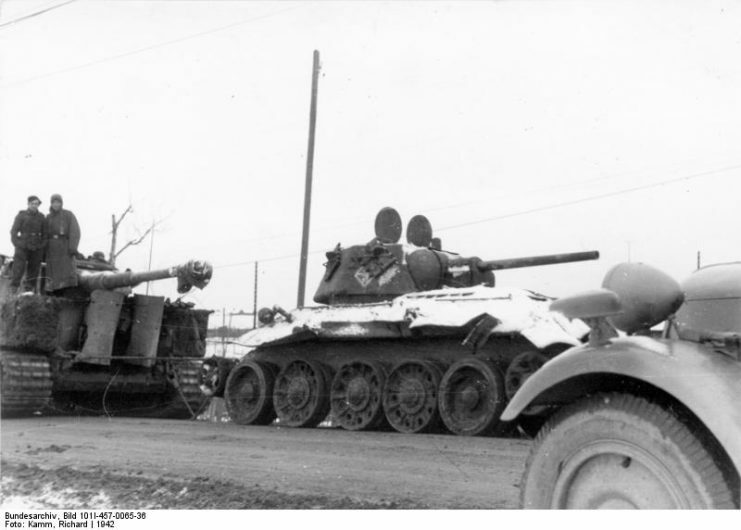 “By the beginning of June, 239,000 prisoners had been captured and 1240 tanks destroyed on the Kharkov battlefield.” The path to Stalingrad was officially open, and General Paulus and the German Sixth Army made the advance towards the city. 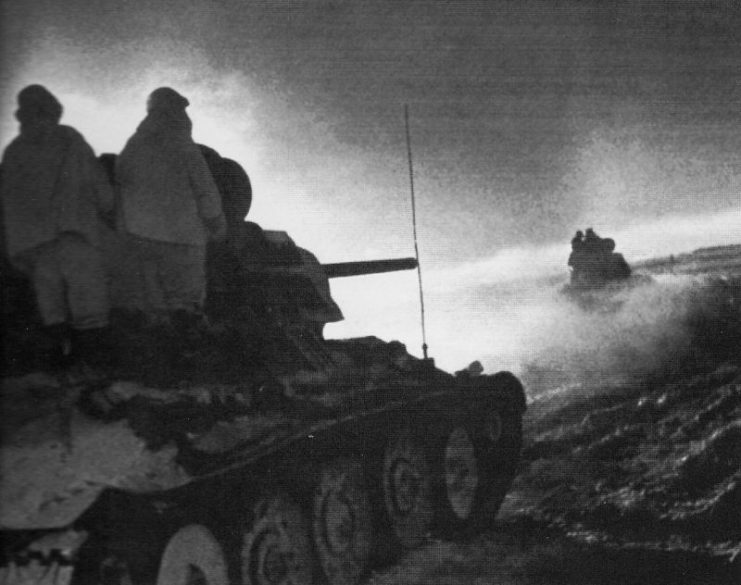 However, Paulus had to advance towards Stalingrad unsupported by tanks. 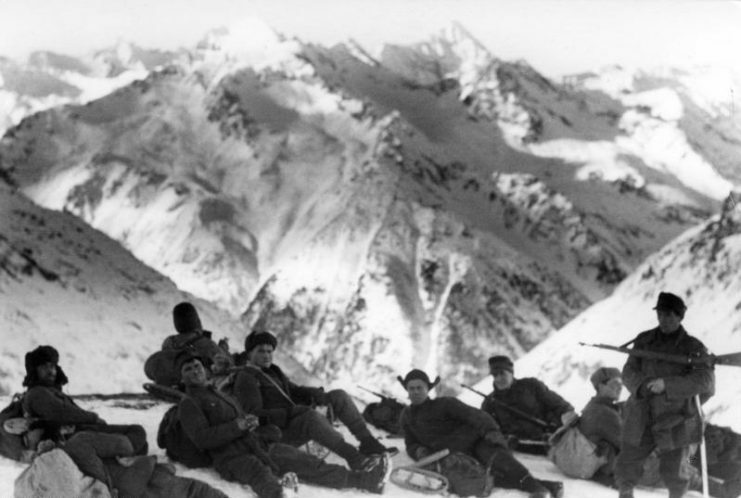 They were to hold the city while Army Group South pushed into the Caucasus to take over the oil fields. 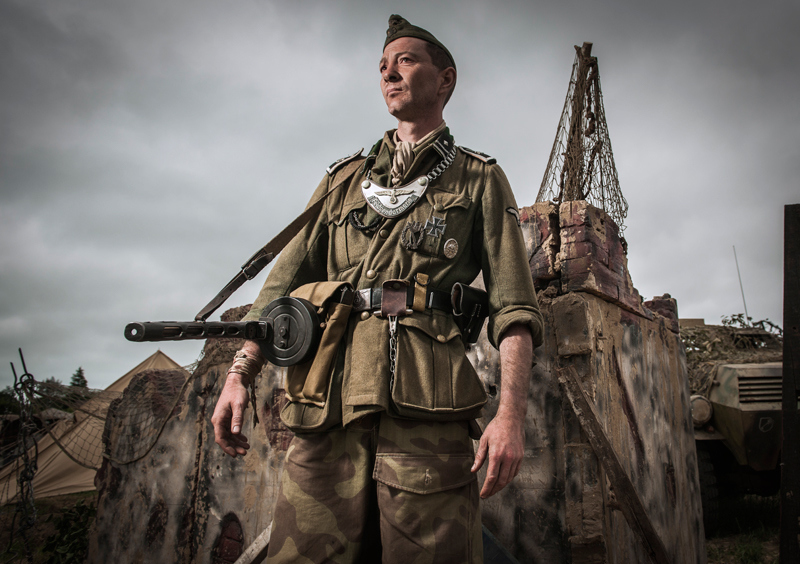 The battle would start with the Luftwaffe reducing “much of the southwestern Russian city of Stalingrad to rubble in a series of devastating attacks. Over a thousand tons of bombs were dropped on the city and its crucial supply line, the Volga waterway.” In just a single week of 1942, “200 aircraft were destroyed in a single week in August” by the Luftwaffe. The Germans had an estimated 170,000 men, 500 tanks and 3,000 artillery pieces while the Soviets could only muster 90,000 troops, 120 tanks and 2,000 guns. Such an imbalance would easily put the advantage in the Germans’ hands, especially considering the Luftwaffe’s support and almost complete air superiority. “At about 0340 hours on 23 August 1942, units of the 16th Panzer Division crossed the river Don on engineer-built pontoon bridges. Once over the river and disregarding their flanks, they first headed north for about three hours and then swung east across the open steppe.” Thus, the fight for Stalingrad had started. 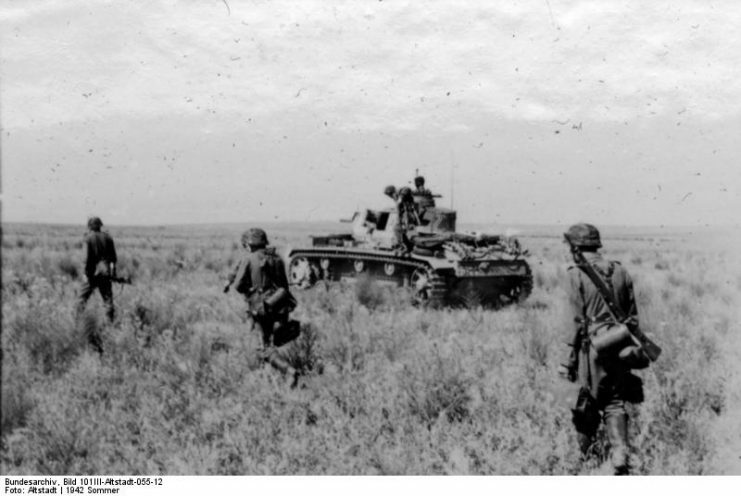 The actual first assaults on the city itself didn’t start until 14 September “with a two-pronged assault by 51st Corps on the centre and south, supported by a push from the extreme southern suburbs by Fourth Panzer Army.” Artillery knocked out Marshal Chuikov’s headquarters, and the Germans were able to push up the Mamayev Kurgan towards the railway station. The station changed hands 15 times but was finally taken by the Germans on 19 September. In the south of the city, the Fourth Panzer Army met resistance around a grain silo, where only 50 men held up three German divisions. 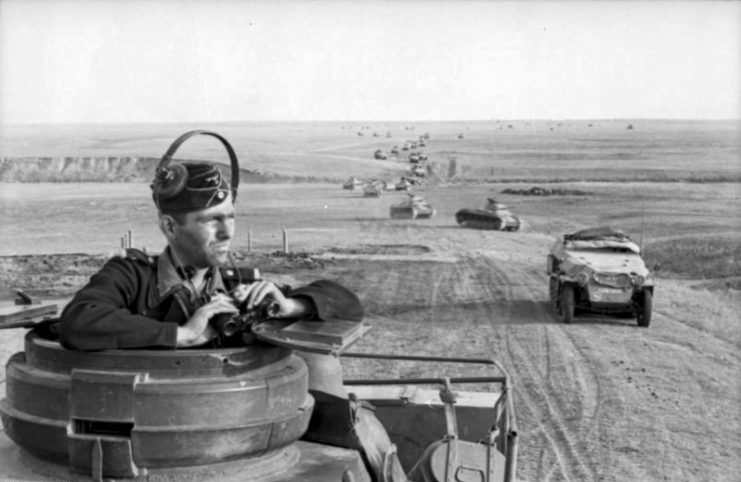 On 26 September the Fourth Panzer Army reached the Volga and split the Sixty-Fourth Army from Chuikov’s Sixty-Second. On 27 September the main attack was shifted towards the Factory district. 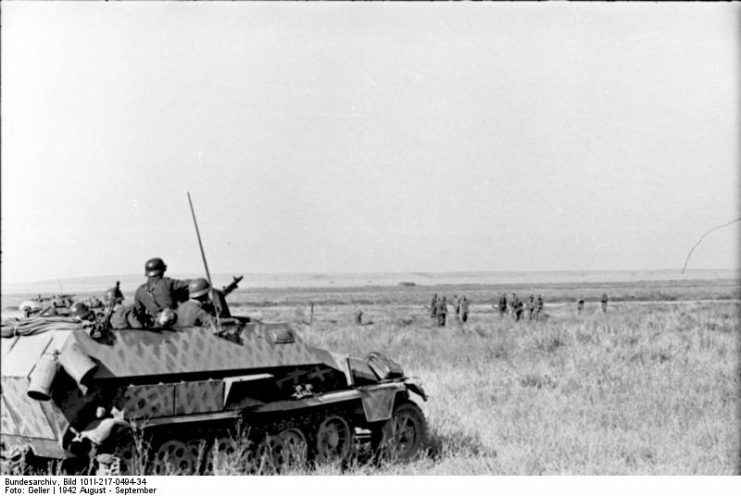 The Germans’ aims were to capture the Red October, Barrikady and Tractor factories, and eventually to control the Volga. At the end of October, 90 percent of the city was in German hands. However, it had taken a heavy toll. The battle was especially difficult for the Germans, as they had made swift advances in all theaters of combat through their mobile tactics. However, in the confines of a dense city maneuver was heavily limited. Therefore, the Germans had to change their tactics. Another crippling factor in the battle was the bombardment of the city in the beginning of the battle. “We have fought for fifteen days for a single house with mortars, grenades, machine-guns and bayonets. Already by the third day fifty-four German corpses are strewn in the cellars, on the landings, and the staircases. The front is a corridor between burnt-out rooms; it is the thin ceiling between two floors. Help comes from neighbouring houses by fire-escapes and chimneys. There is a ceaseless struggle from noon to night. Fighting ground to a lull in the middle of October. The Germans had most of the city by this point, but they still did not control the Volga, nor could they effectively stop it from supplying troops. 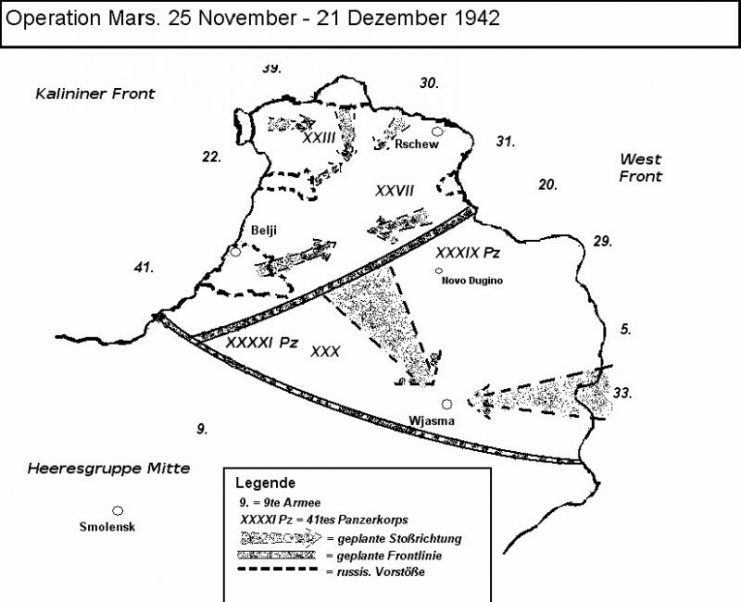 Fighting resumed on 11 November with a final assault on the Soviet positions. Failure here would give the initiative to the Soviets, who could then eliminate the German defenders. Paulus had already lost half his fighting strength, and the Volga would soon freeze, helping Chuikov even more. Uranus would prove to be the Germans’ undoing. On 19 November, over 3,500 artillery pieces opened up on the Romanians. The Fifth Tank and Twenty-First Armies broke through the Romanian defenses and advanced over 43 miles in the first day. The next day, the Fifty-First Army destroyed the Romanian VI Corps, thus creating a breakthrough on two fronts towards Stalingrad. Unfortunately for the Germans, the response from Hitler was his usual ignorance. He believed the front could be put back together, but in reality, it was already destroyed. At this point Stalingrad was for the most part surrounded. The only hope for the Sixth Army was a massive airlift campaign that would keep the defenders alive. Hitler also refused a retreat for the Sixth Army, thus making sure they would be forced to fight for their lives until the battle was over. The amount of supplies needed to keep the Sixth Army alive was tremendous at around 800 tons a day, and could never realistically be achieved. By this point in the war, the Red Army was able to finally gain some air superiority. This, coupled with anti-aircraft fire and poor weather, only allowed around 117 tons of supplies to reach the Germans each day. As an attempt to relieve the defenders of Stalingrad, Marshal Von Manstein launched “Operation Winter Storm.” The goal of the operation was to allow a breakthrough to the city to help resupply and reinforce the men, along with stopping the Soviet counter-attack from crushing the forces inside the city. The operation was launched on December 12 and needed to cover a distance of 60 miles to the city. However, the offensive was checked and stopped 35 miles south of the city. 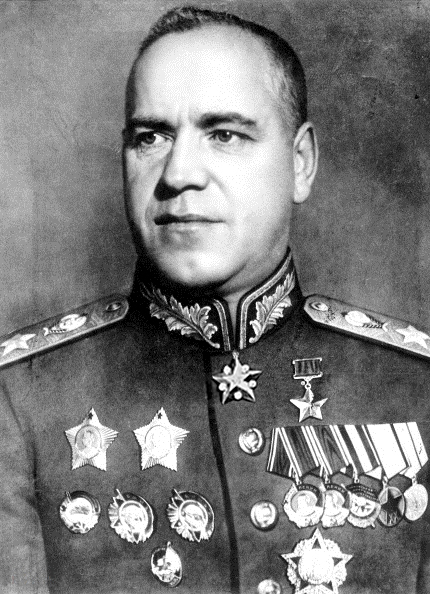 At the same time, Zhukov was launching Operation Little Saturn. This operation threatened the German position in the south. At this point in the battle, however, the German position was deteriorating. The Luftwaffe was only able to bring in on average 70 tons of supplies to that area, when it needed around 300 to keep the men alive. Eventually the closest air field to Stalingrad was overrun, further limiting supplies to the besieged troops. 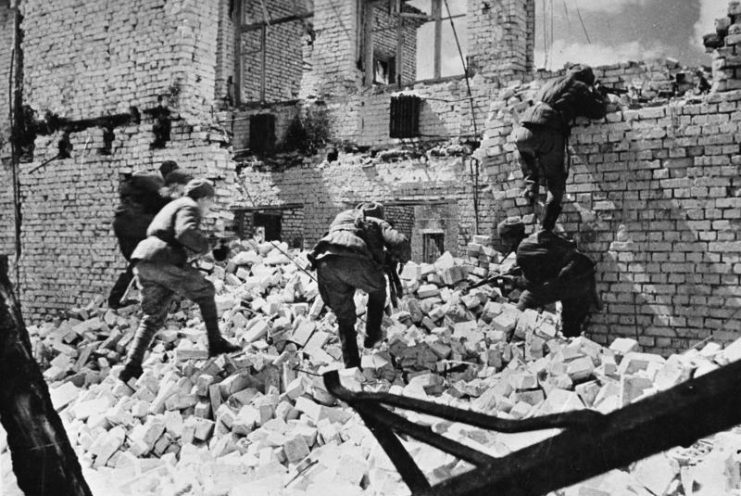 The Germans were losing ground inch by bloody inch inside the city while the Soviet forces closed in tighter around the city. “On 8 January, Nikolay Voronov and Konstantin Rokossovsky sent Paulus a summons to surrender, promising medical care and rations.” They warned that the Soviet winter had only begun, but Paulus would have none of it. He feared that even a breakout would offend Hitler, and therefore declined the offer. Hitler promoted Paulus to field marshal in hopes that this would deter him from surrendering. No field marshal had ever surrendered, and “he thus ‘pressed a suicide’s pistol into Paulus’s hand.’” However, on the same day he was promoted his headquarters were overrun. 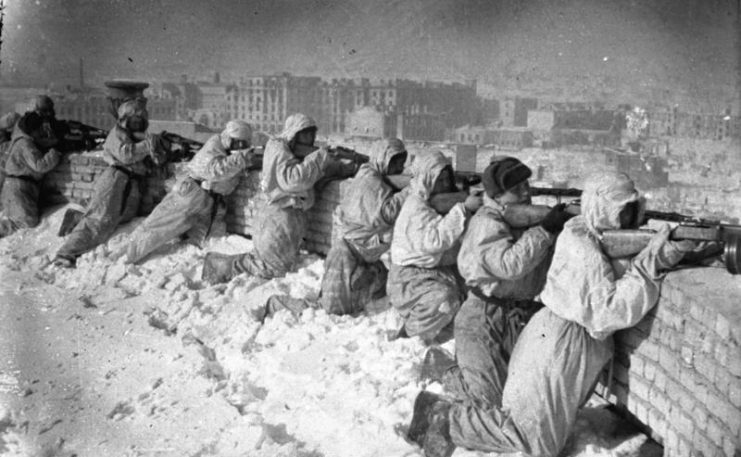 It would take a few more days for the rest of the defenders of Stalingrad to surrender, on February 2. Ninety thousand unwounded men, coupled with 20,000 wounded, were now in Soviet hands. Of these, only around 5,000 survived the Soviet POW camps. German soldiers as prisoners of war. 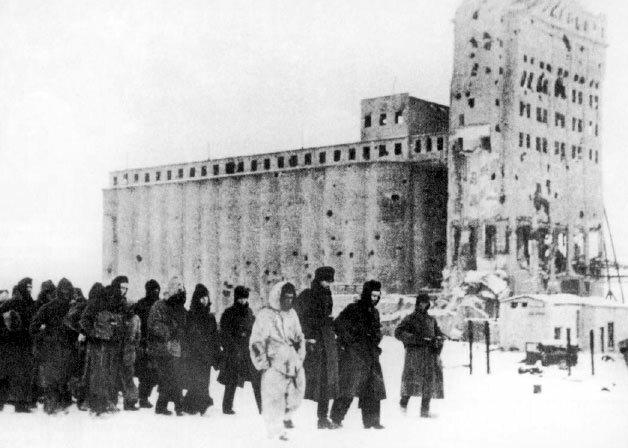 In the background is the heavily fought-over Stalingrad grain elevator. The casualties incurred by this bloody battle are truly horrendous. Approximately 147,000 Germans and Romanians died, while around half a million Soviets died. 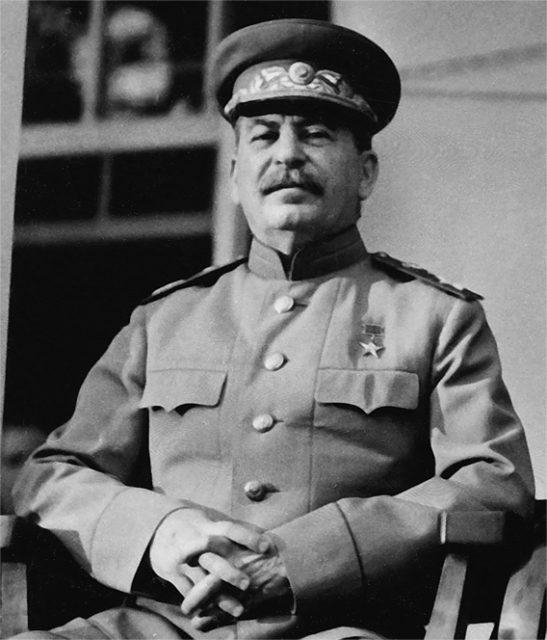 Regarding ammunition, 911,000 artillery shells, 990,000 mortar shells, and 24,000,000 rifle and machine gun rounds were fired by the Soviets in the last month of the battle alone. This is only a small scope of the battle, as each side launched uncountable numbers of bullets and explosives at each other throughout the several months of conflict. This battle is regarded by most historians as the true turning point in the war, before Hitler would finally be on the run and slowly be ground down to a defeat. 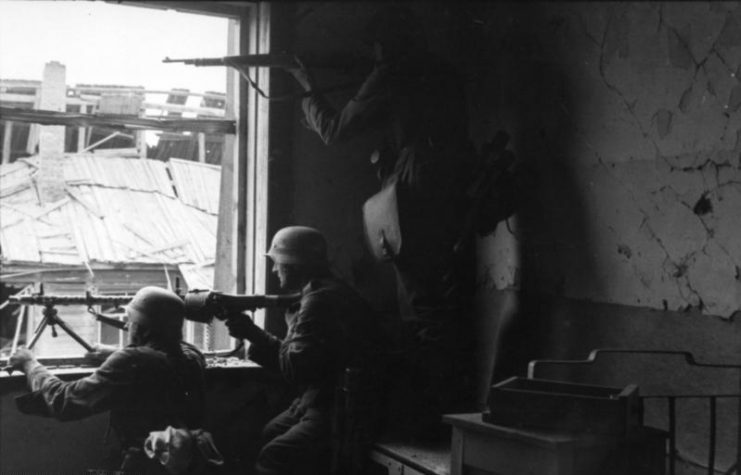 Stalingrad was originally merely a city, but eventually was turned into one of the bloodiest battles in the war. The city has changed dramatically since the days of battle, even in name. The story however will always be the same. Hitler strove for a prize to keep the oil fields to the south safe when he had captured them, and instead incurred a defeat from which Germany could not recover.